Custom vinyl replacement windows and steel/fiberglass doors expertly installed throughout Cecil County by ClearView Window and Door Company. For superior insulation and energy savings, we recommend steel/fiberglass doors and vinyl window frames. Many projects involve replacing older windows and doors with energy efficient, maintenance-free models. We love making our customers happy! We can help you too. 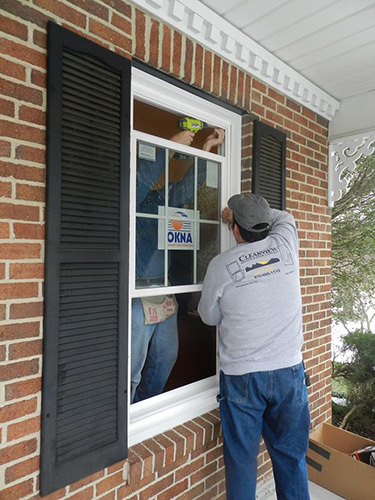 From Perryville to Oakwood to Rising Sun to Elkton, we travel throughout Cecil County installing all types of beautiful, energy-efficient replacement doors and windows. For the most energy efficient windows in Cecil County, you can’t go wrong with Clearview windows. These windows are made from premium components. Some of the cities and towns we serve throughout Cecil County include: Charlestown, Chesapeake City, Colora, Elk Mills, Elk Neck, Elkton, Havre de Grace, North East, Providence, Perryville, Red Point, Westminster, White Hall, Zion.